YouTube is home to numerous eye-popping videos, with episodes from history documentaries to walking dog clips. Tutorial episode is one of the popular videos, which is often viewed by users who want to learn something by themselves. For example, learning Moonwalk style dance, you could find a lot welcomed Moonwalk clips from YouTube, some may be teaching tutorials. Well, some people may complain that they can hardly follow the move because the tutor did it too fast, and it’s very inconvenient to pause and resume the video when they need to repeat the video. To help you solve such problems, the passage here would offer you several methods on how to watch YouTube in slow motion. If you launch the YouTube.com by Chrome, just play the video in the browser, clicking the “Settings” at bottom right of the player, you can see the speed option. Choose 0.25 for quarter-speed playback or 0.5 for half-speed. Now, you could have a better understanding of the details while watching the YouTube videos in slow motion. If the video has audio playing background, you are suggested to choose 0.5 playback speed, because the 0.25 playback speed may not be able to let you hear the sound clearly. If you watch the YouTube video through other browsers, like Firefox, Safari, and Internet Explorer, the settings of speed may be unavailable. Then how could you play YouTube in slow motion. 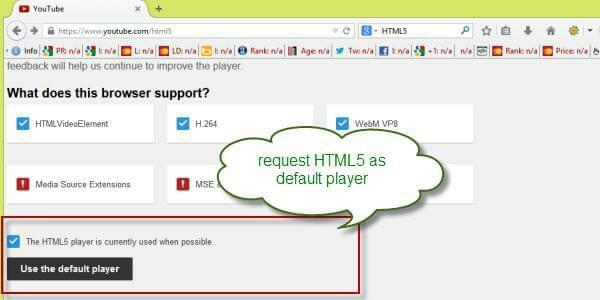 You should switch to the mode of YouTube HTML5 player and request the HTML5 player as default player in these browsers. 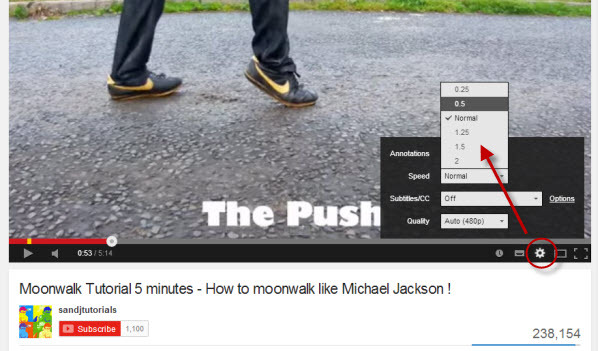 Next time, when you watch the YouTube video, the speed of 0.5 or 0.25 playback would be allowed. After configuring it, you can watch YouTube videos in slow motion in the same way as on Chrome. YouTubeslow.com is a popular online application to view YouTube video in a slow motion. YouTubeslow.com provides much more speed control options of the playing video. You can not only choose a definite speed of 1/4 or 1/2 playback, but also use the sliders to play the video slower or faster. 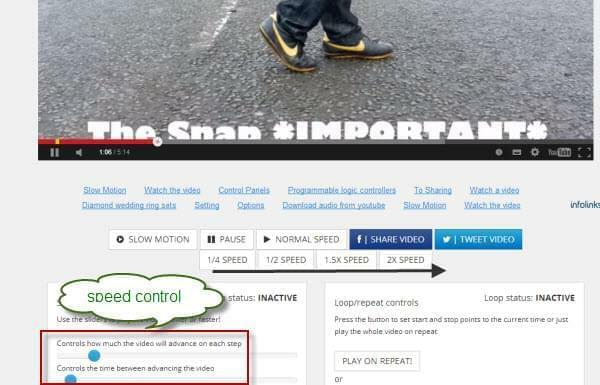 To load the YouTube video on YouTubeslow.com, you just need to paste the URL here in the URL field, click “slow it”, it would be loaded on the page, control the playing speed, and you can play YouTube in slow motion as you want. Besides the inbuilt HTML5 player, there’s an alternative. VLC player is a popular player which can control the playing speed. Here I would give you a brief guidance on how to use it. Install and launch the VLC media player on your PC. Click “File” and choose “open stream” on the player screen. Paste the full URL of your desired YouTube video in the URL box, and click the “Open Button”. Set the “Playback Speed” in “Playback” menu after the video been loaded in the player. 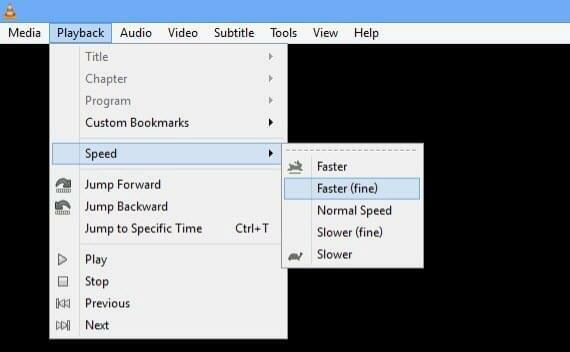 Play the tutorial by VLC media player in your wanted speed; you could watch YouTube video in slow motion then. Another method that can help you to understand the details is repeat viewing. To repeat viewing the video, first, you should save the tutorial to your PC or other devices. Here’s a program would help doing that, which can download any YouTube clips fast and easily. Launch the software. Input the URL of the YouTube tutorial in the URL box and click “Add to download”. Choose a format and quality you want in the pop-up window. The video would be downloaded to your disk soon. The video been downloaded will keep the same definition with the original one, and an embedded player can play the video conveniently.